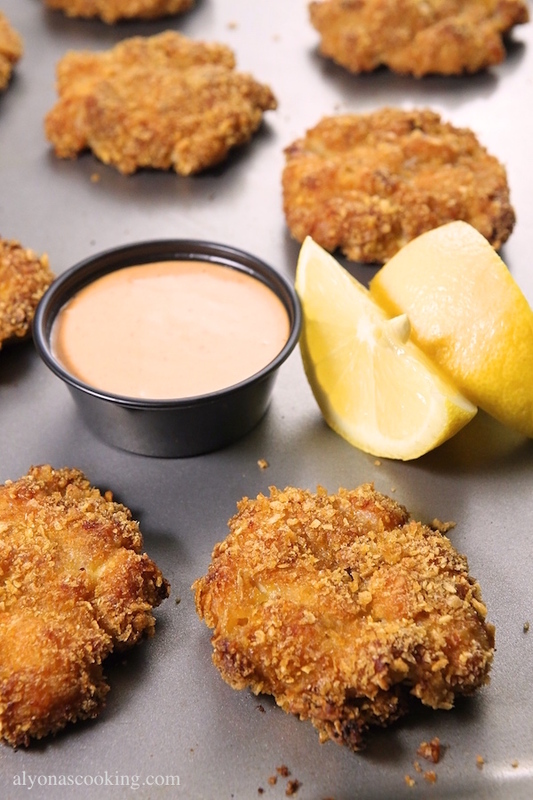 No frying is needed for these Crispy Baked Chicken Fritters; they are baked in the oven. Just combine some ingredients, toss in crumbs, and plop them on a baking sheet. Easy enough, but the results are amazing! I used cornflake cereal for the crumbs but you can probably use toasted panko crumbs as an alternative. If you were to use already crushed crumbs be sure to use less (about 1 cup apprx of crushed crumbs) as 4 cups of cornflake cereal makes less once crushed. Serve with some fresh salsa or dip into ketchup and enjoy! 1. First, combine the stuffing mix and hot water; allow to sit for 10 minutes for the crumbs to soak up the water. 2. Then, stir in the remaining ingredients except for the cornflake crumbs. 3. 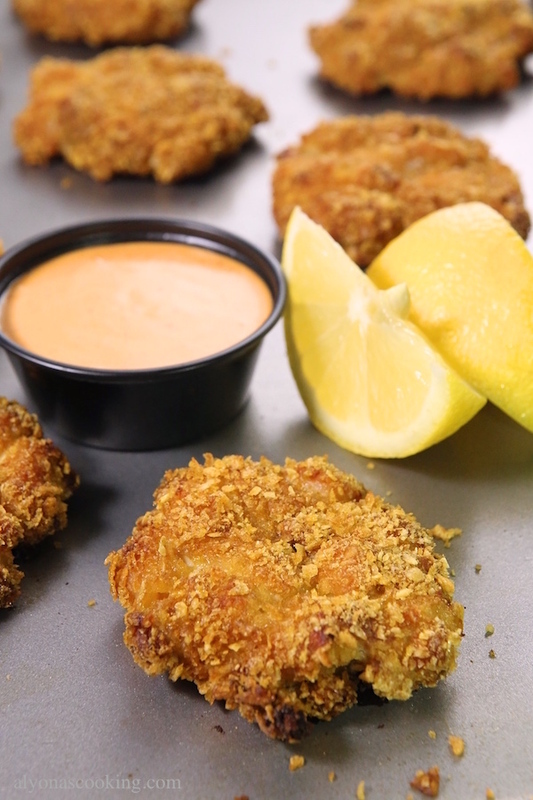 Scoop chicken mixture onto crumbs and form into patties. to 450 degrees F oven for 15-20 minutes. 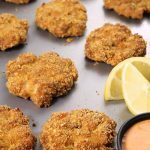 No frying is needed for these Crispy Baked Chicken Fritters; they are baked in the oven. Just combine some ingredients, toss in crumbs, and plop them on a baking sheet. Easy enough, but results are amazing! Combine the stuffing mix and hot water; allow to sit for 10 minutes for the crumbs to soak up the water. Stir in the remaining ingredients except for the cornflake crumbs. 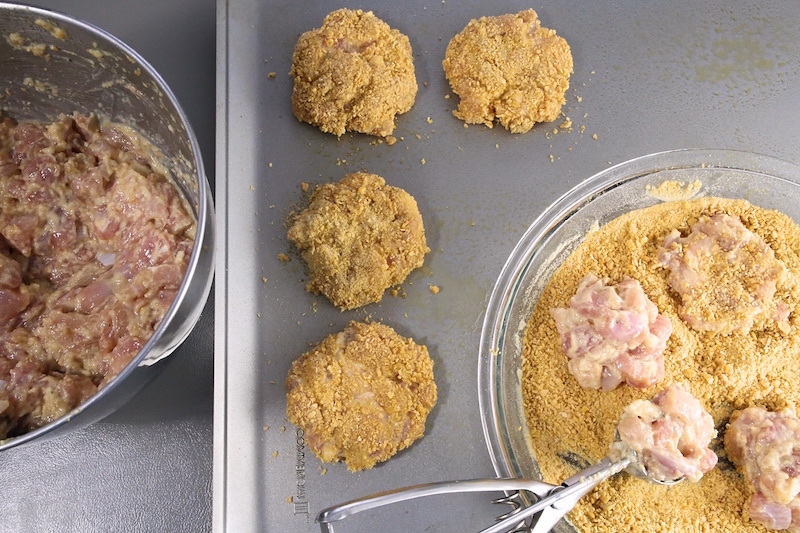 Scoop chicken mixture onto crumbs and form into patties. Place onto greased baking sheets. 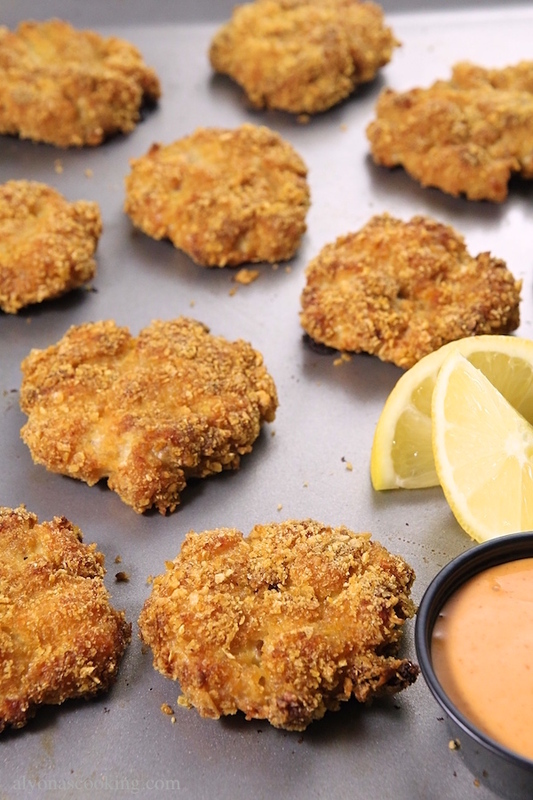 Spray the tops with cooking spray and bake in a preheated 450 degree F oven for 15-20 minutes.